One of the Seven Wonders of the Natural World, this World Heritage site is off the coast of Cairns, Queensland in Australia and is the world’s largest coral reef system. Home to more than 400 different types of coral, sting rays, dolphins, sea turtles, giant clams, and more than 1,500 species of fish, diving the reef feels almost as otherworldly as careening up into space. Experience the vibrancy as you sail to the land down under on your luxury yacht charter. Arrive onboard at Port Douglas and enjoy a light breakfast while steaming towards Mackay Sand Cay. Here, we’ll stop to explore and snorkel alongside sea turtles, eagle rays and giant clams. Back onboard, your crew will serve lunch while the yacht makes it way to Rachel Carson Reef for more snorkeling and fishing. Cap off your evening with sundowners on the top deck as you watch dusk fall over the reef. Enjoy the tranquility of a morning snorkel while you explore the vast marine life at your own pace and then resurface for breakfast. After breakfast, depart for Anderson Reef to snorkel the skipper’s favorite - and rarely visited - dive site. From there, you’ll cruise to Ribbon Reef to sample the world-famous dive and snorkel sites: Steve’s Bommie and Temple of Doom. 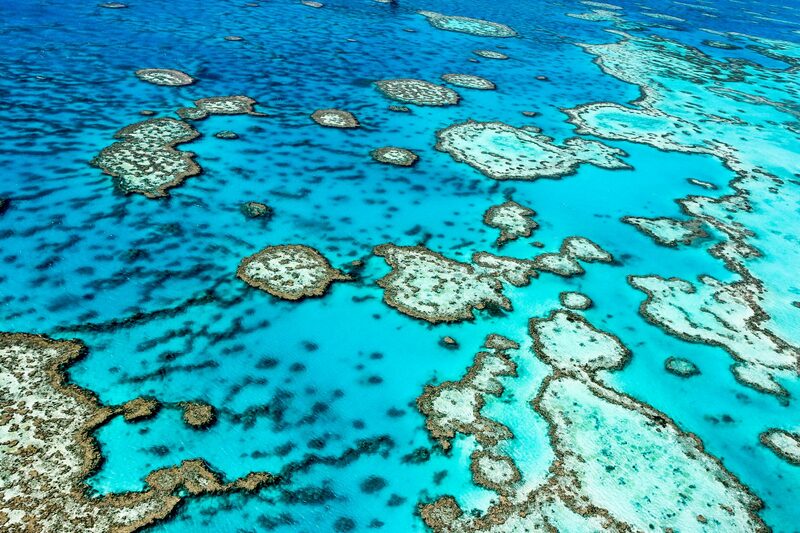 The yacht will then anchor overnight at Ribbon Reef Number Three; part of the long strips of reef which forms the outer edges of the Great Barrier Reef. If you enjoyed your solitary snorkel, sneak another one in this morning or spend some time on the aft deck soaking up the morning sun. You’ll depart for Ribbon Reef Number Five to arrive in time to snorkel, fish, or play with the yacht’s toys. Before lunch onboard while travelling to Ribbon Reef Number Seven. Arrive at Ribbon Reef 9.5 and snorkel world-renowned dive and snorkel sites; Pixie’s Pinnacle and Challenger Bay. Have lunch at the reef before cruising to the Cod Hole for further snorkeling and on-water activities. Tonight you’ll have the pleasure of experiencing an overnight stay above the reef. Start the day snorkeling at Dynamite Pass a channel where pelagic fish cruise from the Coral Sea to Great Barrier Reef. Here you’ll see barracuda, trevally, grouper, mackerel and tuna gathering to fee in the current. Spend your afternoon diving or snorkelling followed by cocktails as the sun sets over the horizon. Have one final breakfast on the reef before departing for Lizard Island. Offering the best inner and outer reef experiences, there are 24 powdery white beaches to be explored on land and the Blue Lagoon and Clam Gardens to be experienced in the water. On your last day be an early rise and hike up to Cook’s Look, named after the 1770’s Captain James Cook who first venture into this uncharted territory. Located on the summit, Cook’s Look overs 360 panoramic views of the island and unique view of the reef. The 2-3 hour walk back from the summit will leave you hankering for a swim so dive into the water and relax and snorkel one last time. Enjoy lunch onboard and then depart Lizard Island Airport bound for Cairns.